Every Ramadan marks a special time for Muslims around the world. In line with tradition, Zakat Foundation of America (ZF) launched efforts to help those of our sisters and brothers who are in tremendous need around the world. Below are just some of the major happenings of the holy month. Six Million Meals: While many observing Ramadan could break their fast with a delicious Iftar, not every Muslim family has this opportunity. By the grace of Allah (swt), ZF was able to distribute food aid to 40+ countries from Syria to Sri Lanka. It’s estimated ZF’s assistance helped prepare six million meals during Ramadan, a remarkable achievement that would not have been possible without the help of our donors. 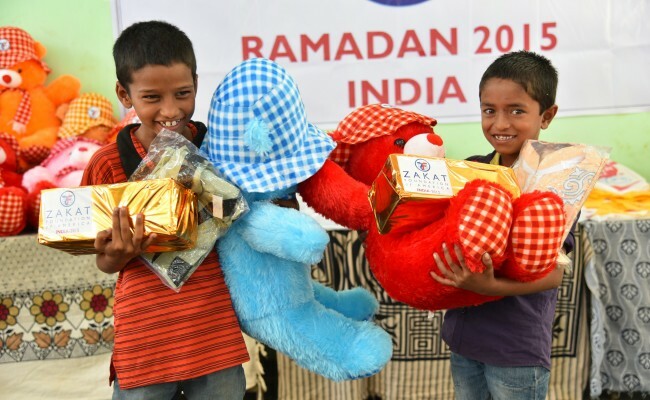 Eid Gifts for Orphans: Every kid deserves to be happy on Eid. That’s why ZF makes it a priority to distribute gifts to children, particularly orphans, on the most blessed day of the year. For this Eid, ZF gave presents to orphans in over 10 countries, such as Bosnia, Ghana, and Palestine, to make sure those children living in unfortunate conditions could enjoy Eid just as many other Muslim kids do. Recognition from U.S. Ambassador: The Syrian refugee students at one of the ZF-sponsored schools in Gaziantep were delighted to receive a visit from the U.S. Ambassador to Turkey, John R. Bass. On June 26th, Mr. Bass visited the school in Gaziantep, a town located near the Turkish-Syrian border, and learned the students’ stories as well as about ZF’s efforts to help improve their lives. The ambassador applauded ZF’s charitable work and even wrote a blog post published on DIPNOTE, the official blog for the U.S. Department of State. Please view coverage of this occasion by Halab Today here. Orphanage in Mali: The Prophet (pbuh) once said: “The one who cares for an orphan and myself will be in Paradise like this” – and he held his two fingers together to illustrate. ZF makes the care and safety of orphans amongst the top priorities in our humanitarian campaigns. 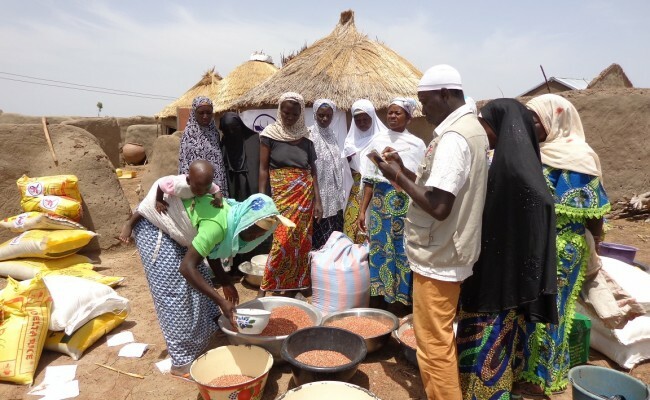 A new orphan sponsorship program was launched in Mali this Ramadan. The program aims to provide opportunities for youth growing up in concentrated poverty through education and helps them ultimately empower themselves as well as their communities. Creating Sustainable Development: ZF understands how sustainable development initiatives can restore power back to the people. That’s why ZF provided small livestock (goats and sheep) to women associations based in Mali, one of the most impoverished countries in the world. The livestock project is about improving the socio-economic conditions of poor families and giving them an opportunity of building their own livelihood through a fresh perspective of sustainable development. ZF hopes to continue approaching humanitarian missions from a unique perspective. If Allah wills, may the remaining half of the year be as fruitful as the first. Please continue visiting the ZF website and social media channels to stay up to date on forthcoming news and developments at ZF and to contribute towards ZF’s humanitarian campaigns.